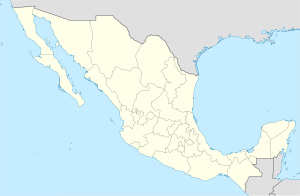 Ixtlahuacán is a municipality in the Mexican state of Colima. The municipal seat lies at Ixtlahuacán. The municipality covers an area of 468.7 km². As of 2005, the municipality had a total population of 2,484. ^ "Ixtlahuacán". Enciclopedia de los Municipios de México. Instituto Nacional para el Federalismo y el Desarrollo Municipal. Retrieved November 9, 2008. ^ "Weatherbase: Historical Weather for Ixtlahuacan, Colima". Weatherbase. 2011. Retrieved on November 24, 2011. This page was last edited on 21 March 2017, at 00:35 (UTC).